Demetria Devonne "Demi" Lovato, born August 20, 1992 in Dallas, Texas, is an American actress and singer-songwriter. Despite acting and singing since 2002, She shot to fame after starring as Mitchie Torres in "Camp Rock" in 2008. Demi Lovato released her debut album, Don't Forget, in September 2008. The album debuted at #2 on the Billboard 200 selling over 89,000 copies in the first week. Lovato's second album, Here We Go Again, was released in July 2009 and debuted at #1 on the Billboard 200 selling over 108,000 copies in the first week. Demi Lovato released her debut album, Don't Forget, in September 2008. The album debuted at #2 on the Billboard 200 selling over 89,000 copies in the first week. Lovato's second album, Here We Go Again, was released in July 2009 and debuted at #1 on the Billboard 200 selling over 108,000 copies in the first week. 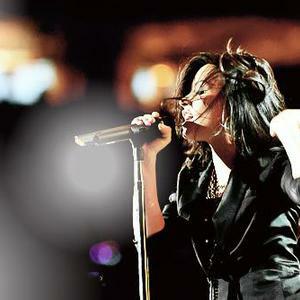 Her third album, [album=Demi Lovato]Unbroken[/album] was issued in September 2011. During the summer of 2009 Lovato took part in Disney's Friends For Change, a pro-social "green" initiative. Alongside Miley Cyrus, Selena Gomez and The Jonas Brothers they released the charity single "Send It On" in August 2009. She recently performed "Make A Wave" with Joe Jonas for the new movie "Oceans" and is working on Camp Rock: The Final Jam set to premiere 2010,on Disney Channel. She stars in the Disney show "Sonny with a Chance." She also guest stared on "Grey's Anatomy" in 2010.